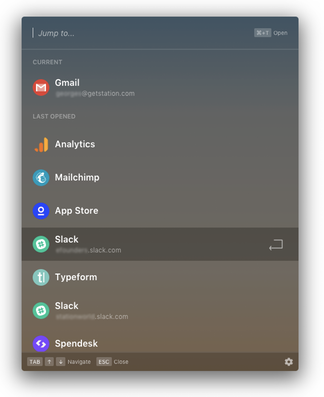 What is the fastest way to access any application inside Station? Via the dock icons, the quick-switch or keyboard shortcuts. Easy but kind of slow. Needs to get used to, but very efficient.